Collect old photos and memorabilia to restore the family estate. "Gardenscapes 2 is so much fun! Addictive but relaxing since I don't like any pressure when I play. Interesting and challenging and entertaining. Completely recommend it. Great graphics with a lot of imagination. Very detailed and clever artistry. Well worth the money." The garden at the estate where Austin was born and grew up in is in a pitiful state. Rundown and neglected, it is waiting for you to come and restore it. Accompany Austin to the place of his childhood, meet his parents, and collect the old photos and other memorable things from his past. Run sales of the old stuff found around the house to implement the original decor ideas of your own. Help your good old friend bring the family garden to bloom again in Gardenscapes 2. I absolutely adore this game. It's the right amount of hidden object mixed with relaxation. I'd recommend it to anyone and everyone. I love the challenge but also appreciate the helpful hints along the way. Very addictive yet relaxing with the background music. And if course fixing up the beautiful garden is rewarding. 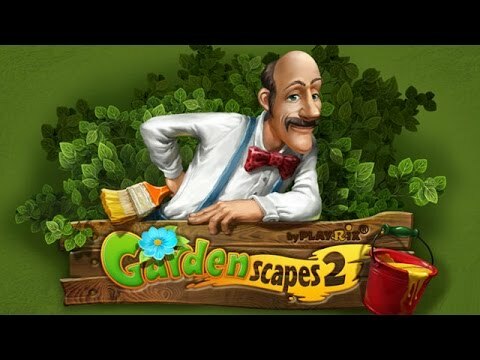 I purchased Gardenscapes Manion Makeover a few years ago and loved playing it. That is why I purchased Gardenscapes 2 and I'm glad I did. It's great! Very entertaining and challenging. I spend most of my time playing it. It's a great game, I love it! A stress free game that requires a little focus but nothing extreme. Fun and easy going. I like it and my 4 year old granddaughter loves it. If you like finding hidden things, this is the game for you. I enjoy it thoroughly. Love Gardenscapes 2. It's perfect to play when I'm bored. Best hidden object game out there.